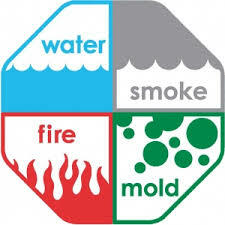 Your home has lot of natural enemies; fire, water, storms and mold to name a few. However we in St. Paul make sure that no matter what your home is put through it comes out perfect in the end. We are the premier restoration company in St. Paul. We employ the best professionals and use the best equipment to ensure that we can put your property in useable condition in the fastest time possible without any compromise in quality. We are there on your beck and call. Fire, water and mold never take a vacation and neither do we. We are available 24/7 with a response of time of 60 minutes or less depending on your location. Since we provide all restoration services when we reach your property we shall guide you on how to go about claiming insurance and will even take photos of the structural damage. Our process is simple. When you call us we will first guide you as to what you should do immediately. For example open all windows after a fire in order to let the smoke odor escape. We shall simultaneously depart a team to your place that will analyze the damage and give you an estimate. When all your queries are satisfied and you give us the go ahead we shall begin our work. And we are not just good at our work. We are also good at cleaning up after ourselves. When we finish restoration, we clean up. You can go about your normal routine without a hitch. We treat our customer’s home and businesses properties as if they were our own; that is why we are the best restoration company in St. Paul. We take care of our customers.